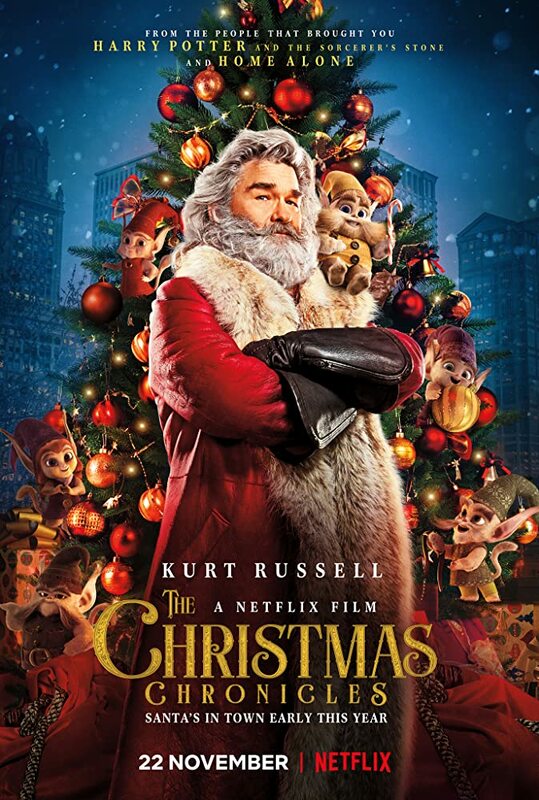 Christmas may have been a month ago, but I still feel the need to talk about ‘The Christmas Chronicles’; Netflix’s most recent holiday movie, produced by Chris Columbus (who directed both ‘Home Alone’, and ‘Harry Potter and the Sorcerer’s Stone’), and starring Kurt Russell as Santa Claus. Just the combination of a well-respected actor donning the white beard and red suit with the magic that comes with each Christmas movie should be enough to bring some yuletide holiday joy, right? While there is no doubt that parents with children can enjoy this offering, there is no denying that this Netflix movie is just your average children’s movie filled to the brim with , and family drama. It centers on two siblings with different personalities; the youngest is a little girl named Kate (Darby Camp), who is filled with hope and Christmas spirit, while her older brother, Teddy (Judah Lewis) is on his way to becoming a juvenile delinquent by stealing cars, and being a Scrooge, especially to her. The problem comes from a tragedy in the family that manages to get drilled in your head throughout the majority of the movie. Even when Santa himself shows up, does the motivation not disappear. But what is this kind of Christmas family movie without some lessons learned and relationships rekindled. What you see in ‘The Christmas Chronicles’ is exactly what you get. It is as saccharine as a sugar-plum and not much else. Though, the real treat comes from seeing Russell as Kris Kringle. He is snarky, full of wit, and more different from what you would expect your average film Santa to be. Even when the movie itself seems to be by-the-numbers, Russell is a delight to watch. I even believe that is why most people ended up watching ‘The Christmas Chronicles’. Other than that, it is a movie meant to be enjoyed by children. Though I can see adults enjoying it too. As for me, I thought it was alright. It definitely does not belong in my Top five (or ten) Christmas movies I would watch every year. ‹ PreviousAnime ABC’s – Q Voting Round? Nice review. It’s definitely enjoyable for Russell. Yeah, really. He can make even the most “meh” movie enjoyable.